Collection 26 is Here! 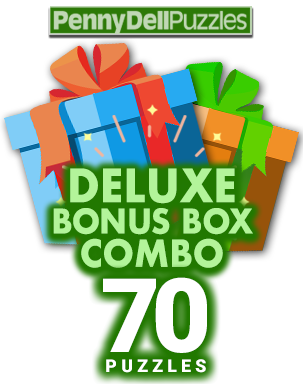 Plus Bonus Boxes! Thanksgiving might be just around the corner, but we won’t make you wait! Belly up to the table for some puzzly delights! We’ve got new puzzle sets for the Penny Dell Crosswords App! Collection 26 just landed for both iOS and Android users, and we’ve got a range of puzzles and difficulty levels to fit every solver! You can get 30 easy, 30 medium, or 30 hard puzzles in the Collection 26 set, or level up to the Collection 26 Combo sets, which offer 60 easy or 60 medium puzzles! 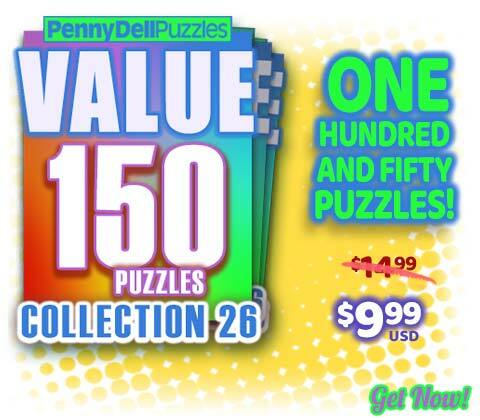 And if you’re still hungry, the Collection 26 Value Pack has 150 puzzles! Plenty to sate your puzzly appetite! But that’s not all! 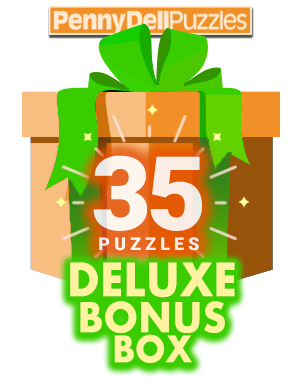 We’ve also got a new 35-puzzle Deluxe Bonus Box for you (which includes 5 themed puzzles) AND our Deluxe Bonus Box Combo 2 that offers double the bonus puzzles! 70 puzzles, including special themed ones you won’t find anywhere else!